Description: Carapace orange brown to dark brown with faint darker striae. The male carapace modified by possessing a small forward directed cusp-like protuberance, which bears a tuft of hairs. Legs orange to orange brown, contrasting with the legs and the abdomen as in most species of the genus. Tm I 0.5-0.55 (Roberts 1987). Abdomen grey to black. Size: Female 2.4-2.9 mm; male 2.3-2.6 mm. 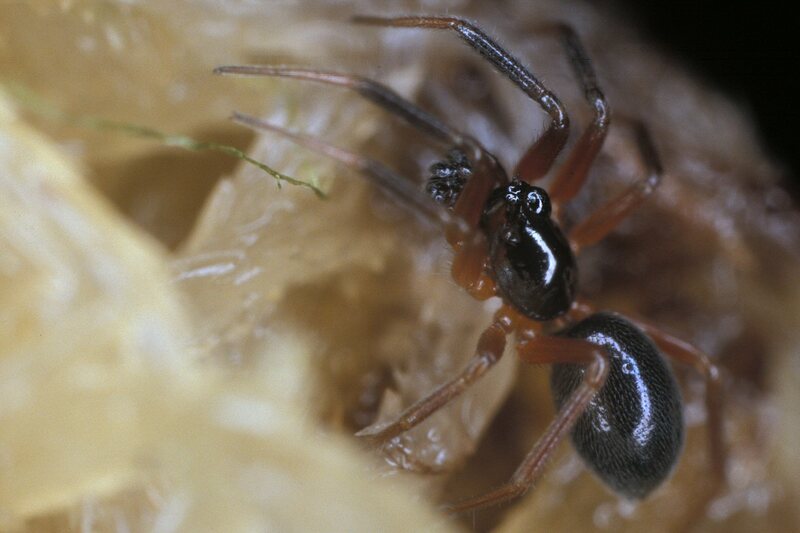 Genus: Walckenaeria Blackwall, 1833. Characters of genus: The members of this genus range in size from 1.35 to 4.0 mm (Millidge 1983). The male carapace in most European species is elevated, often into large lobes or modified in some other way. 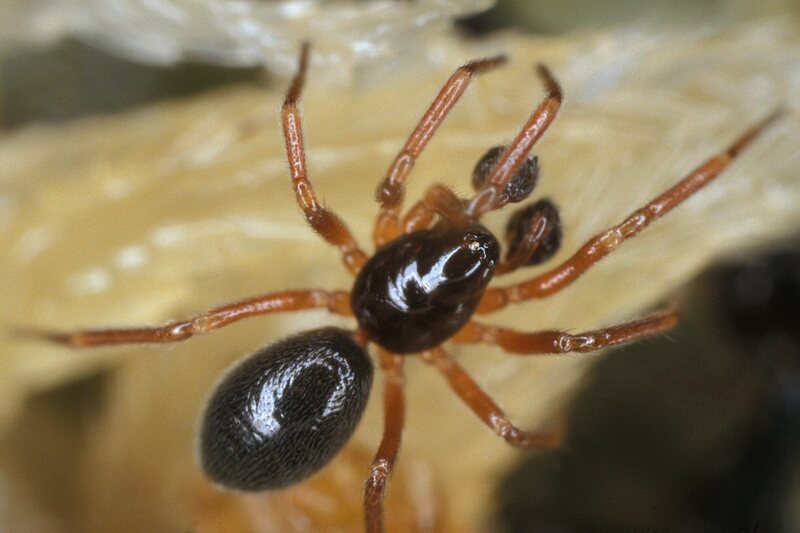 However, in a few species such as in W. dysderoides the male head is only slightly domed behind the eyes. Where there is a lobe this carries the posterior median eyes (Millidge 1983). In other species the male carapaces carries a projection, often furnished with hairs which may be clavate or furcated. More rarely is the carapace of the female elevated, such as in W. acuminata which carries a conical elevation. The sternum is longer than wide with the posterior end pointed between coxae IV (Locket & Millidge 1953). The pedicel is distinctly sclerotized and is quite conspicuous in some species. The abdomen is without a scutum and is unicoloured in most species, usually greyish black but occasionally light grey or yellowish brown. Tibia I and II carries two spines while III and IV carries one in the European species. Legs are unicoloured in most species, often bright orange or reddish orange. Some species have contrastingly blackened tibiae on anterior leg pairs. 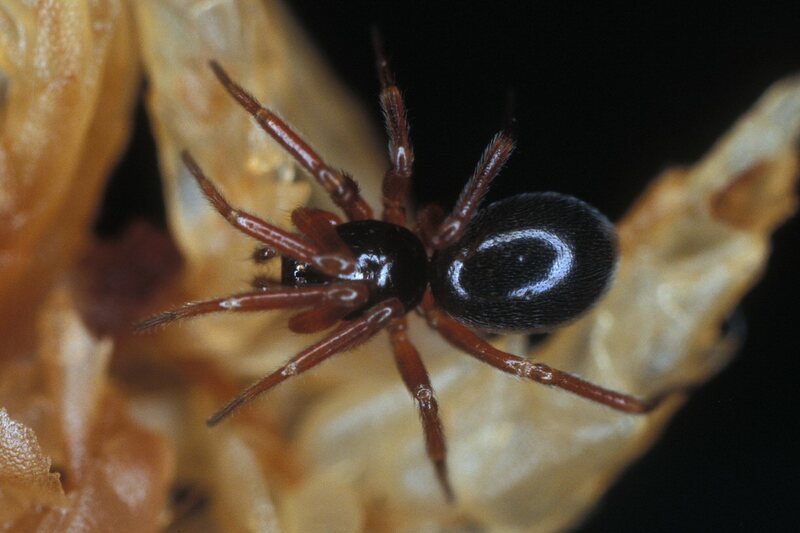 Spines are weak, particularly on legs I and II in males (Millidge 1983). All metatarsi with a trichobothrium, Tm I variable, ranging from 0.39-0.76 in British species (Roberts 1987). The male palpal organs are of similar form and differences are not discernible with a hand lens. Females of a few species possess characteristic epigynes which makes them identifiable in the field using a hand lens. Other characteristics of the genus (not visible with a lens) include the strongly pectinate and large superior tarsal claws of legs I and II, clear transverse striae on the lateral faces of the chelicerae and the acuminate tarsus of the female palp (Locket & Millidge 1953, Millidge 1983). The European members of the genus have been reviewed by Wunderlich (1972) and the North American by Millidge (1983).